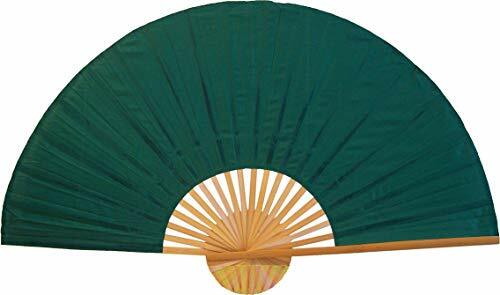 This solid green color wall fan is an excellent choice if you wish to decorate your fan yourself, use it for a prop in dance, play, costume design and cosplay. Each fan is handcrafted from natural genuine bamboo. Opens easily to a full 60 inches wide to fill your wall space. A popular choice for dance companies. Each piece is a unique work of art. View More In Decorative Folding Fans. If you have any questions about this product by Oriental-Decor, contact us by completing and submitting the form below. If you are looking for a specif part number, please include it with your message.